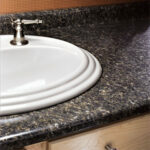 Solid-surface countertops are popular for their durability and uniform appearance. Made by mixing minerals and resins, the low-maintenance material is resistant to damage from heat, moisture, and fading. 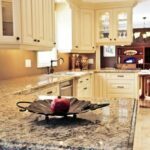 Virtually unbreakable, solid-surface countertops can mimic the appearance of stone but have a warmer, softer feel, and they are much easier to repair if damaged. 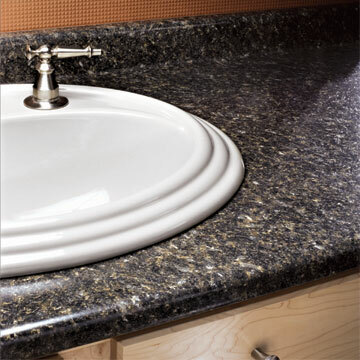 Solid-surface material is also regarded for kitchen countertops and other work areas because of its versatility. It can be manufactured to fit any space and can be molded into sinks, drainboards, and soap trays with ease. 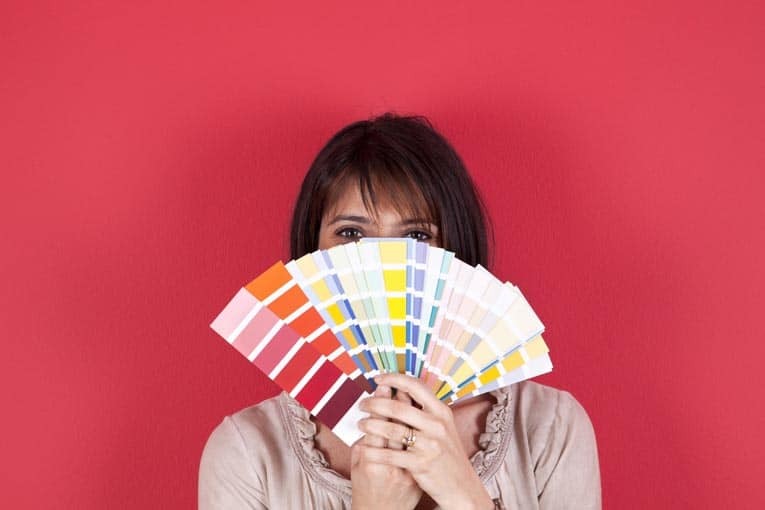 A wide range of colors and edging styles can be used to complement the design of any room. Solid surface does have its drawbacks. It’s almost as pricy as stone, and the uniformity of color and texture can stress its artificiality. You’re also limited to using a certified contractor for installation or most manufacturers won’t issue a warranty.